and some of the best golf courses that Florida has to offer. 4 Bed - 3 Bath Executive Home. Master & Guest Suites, 2 Twin Rooms, Sleeping 8 Guests. 3 Bathrooms - two en-suite. 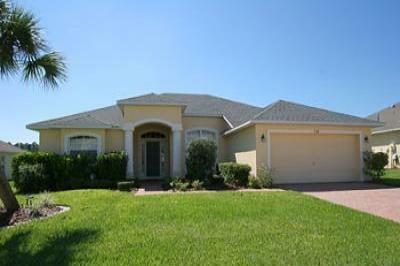 Oversized Heated Pool with Extended Deck & Large Covered Lanai. and some CD’s for your enjoyment. next, or as a play area/room for the children. with views over the pool. and a separate toilet. A hairdryer is also available for your use. wardrobes and ample drawer space. plenty of room for sunbathing and relaxing on sunny days. bubbles to help sooth those theme park ache's away. Billiards table for your use. US192 with all of its attractions, shops and eating establishments. trainers, just as an example.